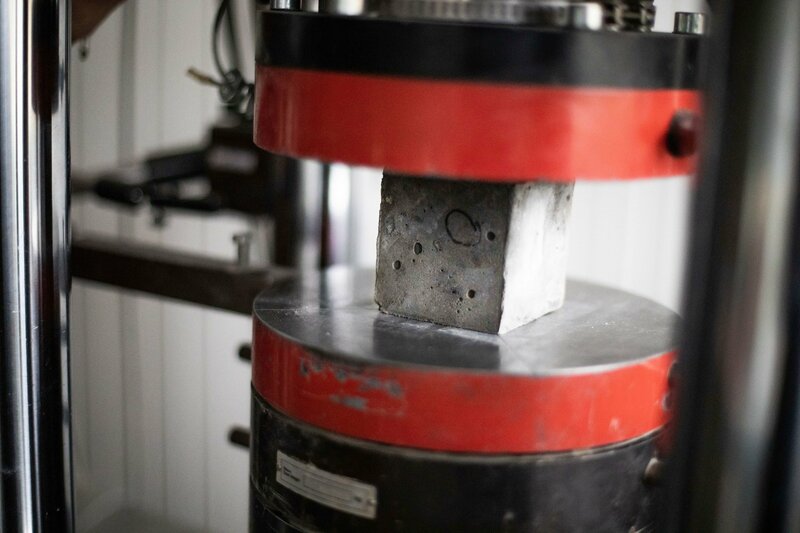 Scientists at Kaunas University of Technology (KTU), Lithuania are developing methods for producing concrete without cement, using fly ash, an industrial waste product. The final product is as strong as traditional concrete, is more resilient to damaging effects of acid, and more stable in cases of exposure to extreme heat and cold. In order to produce one metric ton of Portland cement, a basic ingredient of concrete and the most commonly used type of cement around the world, up to one ton of carbon dioxide (CO2) is released. It is estimated that the global cement industry is responsible for 7 percent of yearly carbon dioxide emissions into the atmosphere. 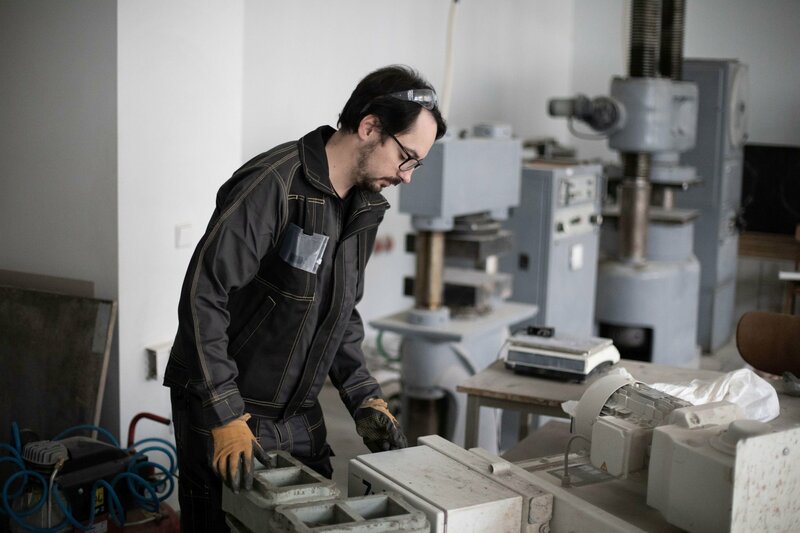 Aiming to reduce the concrete industry’s negative impact on the environment, KTU researchers have been investigating methods of substituting Portland cement with other materials. “At first, the idea that concrete can be produced without using cement seemed radical. Now, after several years of intensive work, we successfully developed alkali-activated concrete, with compressive strength of 55 MPa (the same as in conventional concrete). Instead of Portland cement, we are using alkali-activated industrial waste products—fly ash, biofuel bottom ash, AlF3 production waste—silica gel etc.,” says Vytautas Bocullo, researcher at KTU Faculty of Civil Engineering and Architecture. According to the researcher, the biggest advantage of this type of binder is that in its production, a great amount of industrial waste containing an active form of silicon and aluminum compounds can be used. Theoretically, any material containing silicon and aluminum compounds could be used, such as blast furnace slag or metakaolin, material derived from modification of clay mineral kaolinite. Treated with a special alkaline solution, these materials start melting and binding similarly to traditional cement. Depending on the composition, the final product can be either geopolymer or alkali-activated material. Alkali-activated concrete is much more resilient to the effects of fire and acid. Also, due to its higher pH, this concrete protects armature against corrosion. Bocullo maintains that alkali-activated concrete can be used instead of traditional concrete in many fields, and is becoming a globally popular alternative to traditional concrete. By properly preparing raw materials and the activating solution, such concrete solidifies at the usual temperature. However, in order to produce this type of concrete in a cost-efficient manner, local materials are best. “We are trying to use waste materials from local industry, such as aluminum fluoride production waste—silica gel and biofuel ash. The preparation of the substance depends on the material itself. For example, fly ash of coal can be used immediately, but the biofuel ash need to be ground up to the fineness of the cement. In order to improve the qualities of the final product, several substances can be mixed, but before that, their chemical composition and additives need to be investigated for their impact on the environment and on the compressive strength of the concrete,” says Bocullo.